Close to Home. Far from Ordinary. The Harlan County Health System Board of Trustees, along with CEO Mark Miller, is pleased to announce the Grand Opening of the new Heartland Family Medicine Clinic. The long-anticipated ribbon cutting will be held March 30 at 1:00 pm at 906 7th Street in Alma, Nebraska. Following the ribbon cutting ceremony, guests will be able to explore the new clinic, enjoy cake and visit with staff. Appointments will be available beginning March 18. Dr. Long and partner purchased the Alma medical practice in 1955 and began a forty year legacy of quality medical service and leadership to the community. 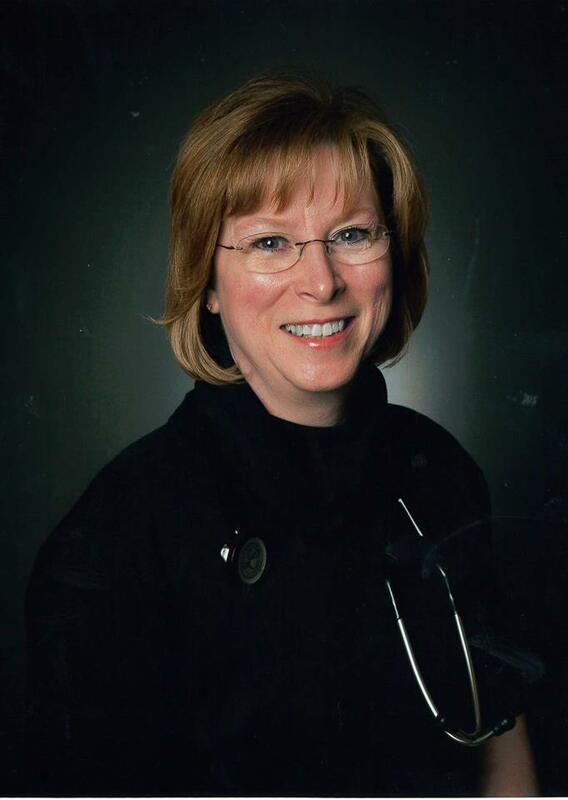 An advocate of strengthening health services in rural areas, Dr. Long served as teacher and preceptor to countless medical students and residents. We are pleased to dedicate the Dr. James S. Long Medical Building in honor of him at the grand opening of the new medical clinic located just west of the current clinic. Parking available on the West side of the hospital and in the old clinic parking lot. ALMA, Neb. 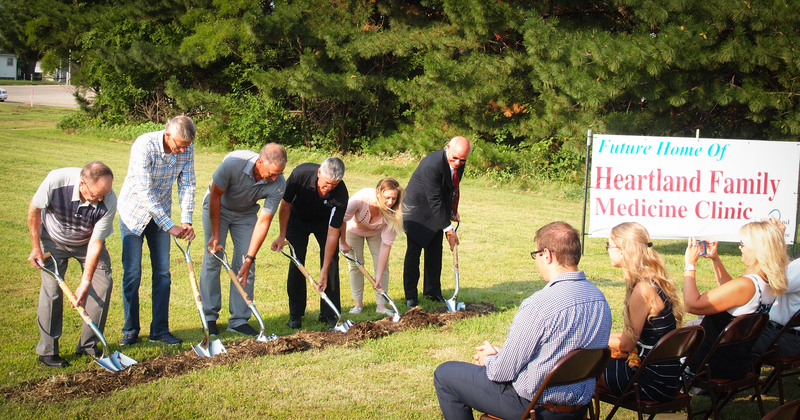 — A large crowd of Harlan County citizens and medical professionals gathered in Alma Saturday morning to celebrate health care in Harlan County and break ground on a new medical clinic. 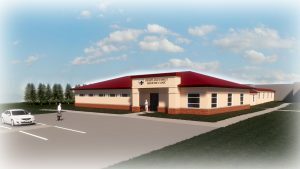 The new clinic will be located next to the old Harlan County Health System Facility in Alma. 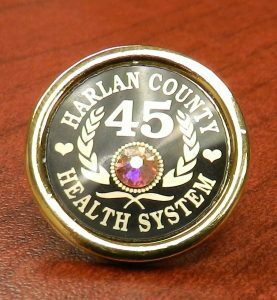 Bruce Beins, chairman of the board of trustees for the Harlan County Health System, feels that this new clinic will be able to better serve the needs of people in Harlan County, which has changed a lot since the original clinic opened in 1971. 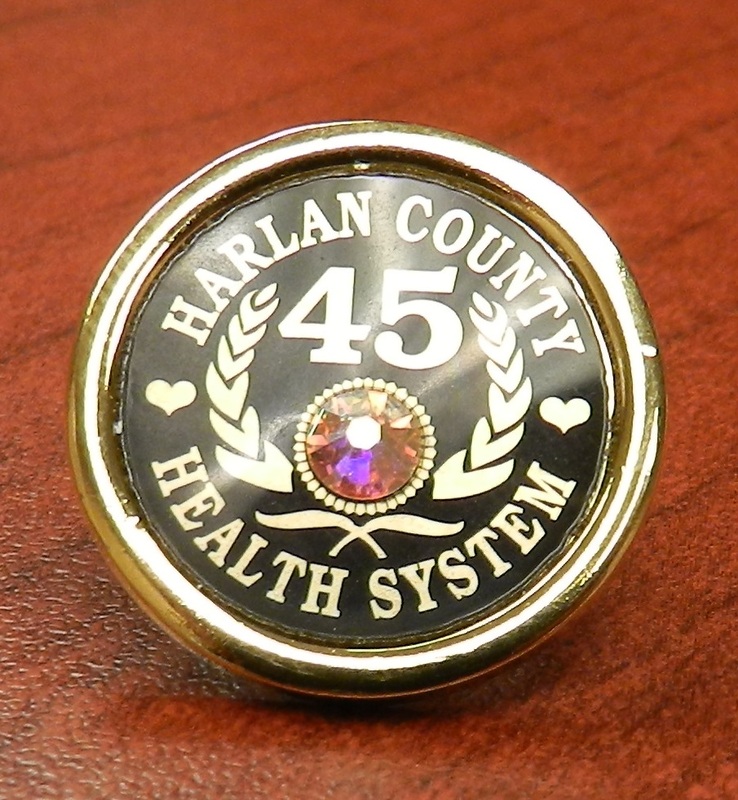 "The existing clinic was built in 1971 and has pretty much outlived its usefulness in today's regulatory environment so we are breaking ground on a new clinic today that will serve Harlan County for the foreseeable future," said Beins. Beins and the board of trustees feel that the clinic will not only help cover the evolving medical needs of Harlan County, but will also help maintain a strong economy in the rural county. "It's very important, rural communities survive with a few key elements. A good main street, good schools, and quality healthcare. Any three of those or any one of those three that you lose has an effect on the economy of the whole area. So being able to keep quality healthcare in Harlan county is vital to the economy of the whole area," said Beins. One of the most appealing parts about the project is its cost to taxpayers. The new clinic is being funded almost entirely by donations, saving citizens of harlan county from having to pay more out of their own pocket. Beins said of the funding, "We are raising the money for the clinic, the Harlan county foundation, health system foundation is a non–profit that is raising money and we have a fundraising campaign going on right now." Beins and the board of trustees hope to begin construction of the clinic soon with the project having an expected completion date of spring 2019. 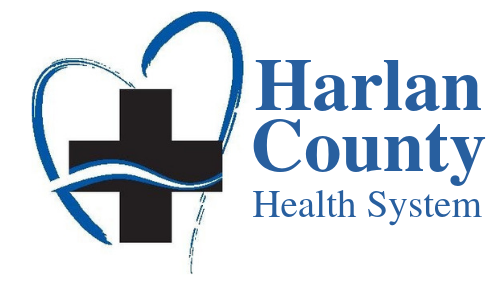 Harlan County Health System recently underwent a full survey with the Accreditation Commission for Health Care (ACHC), and is now fully accredited to perform Sleep Studies or Polysomnography testing in house, using qualified sleep rooms and sleep technologists. This testing can be performed at the hospital in Alma, keeping the health system’s patients from having to travel out of town for this study. Your health care provider may recommend a sleep test for you if he or she suspects you have a sleep related breathing condition such as Sleep Apnea. Indications that may prompt a physician to recommend a sleep test study could include, snoring, waking up feeling tired or waking up early, feeling run down, overwhelming daytime drowsiness, restless legs while sleeping, and sleep walking to name a few. A sleep test is used in helping to diagnose sleep disorders in patients. The test records breathing, heart rate, the amount of oxygen in the patient’s blood, brain waves and various other things. It monitors the patient while they sleep to help in identifying sleep disruptions and why they are occurring. The testing is simple; the patient arrives in the evening close to bedtime and stays overnight in one of the designated sleep rooms. Rooms are private and include a private bathroom, no rooms are shared with other patients. The Technologist will connect the patient to sensors that will monitor different readings throughout the night. The patient may have a harder time falling asleep, or sleep as well as they would at home, and this is expected. A full night’s sleep is not necessary to achieve accurate sleep test results. Sleep lab patients are usually done testing and released to go home in the early morning hours. Sleep studies have evolved over the years...besides sleep-related problems, the tests can also reveal more serious health problems, including pulmonary (lung) and cardiovascular (heart) issues. For more information regarding sleep testing it is recommended you contact your health care provider and discuss any questions or concerns you may have with them. 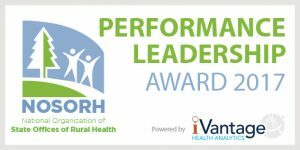 Alma, NE, November, 2017 – Today, on National Rural Health Day, Harlan County Health System announced it has been recognized by The Chartis Center for Rural Health/iVantage Health Analytics and the National Organization of State Office of Rural Health (NOSORH) for overall excellence in Patient perspective, reflecting top quartile performance among all rural hospitals in the nation. The rankings are determined each year using iVantage Health Analytics’ Hospital Strength INDEX®, the industry’s most comprehensive and objective assessment of rural hospital performance. In partnership with NOSORH, iVantage Health Analytics has developed a data-driven program designed to identify excellence across a broad spectrum of indicators relevant to hospital performance and patient care. The Hospital Strength INDEX captures performance metrics for all rural and Critical Access Hospitals. Leveraging data from public data sources, INDEX aggregates data from more than 50 individual metrics into three major categories and eight pillars to derive a single strength overall rating for each facility. The National Organization of State Offices of Rural Health (NOSORH) was established in 1995 to assist State Offices of Rural Health in their efforts to improve access to, and the quality of, health care for America’s 61 million rural citizens. NOSORH enhances the capacity of SORHs to do this by supporting the development of state and community rural health leaders; creating and facilitating state, regional and national partnerships that foster information sharing and spur rural health-related programs/activities; and enhancing access to quality healthcare services in rural communities. The Chartis Group (Chartis) is a comprehensive advisory and analytics services dedicated to the healthcare industry. Chartis provides strategic planning, value-based care, advanced performance, informatics and technology consulting services as well as leading-edge decision support tools to the country’s leading healthcare providers. The Chartis Center for Rural Health (CCRH) was formed in 2016 to offer tailored services, performance management solutions, research and education to rural hospitals and facilities. Learn more at Chartisrural.com. A subsidiary of The Chartis Group, iVantage Health Analytics (iVantage) is a leading provider of healthcare analytic and performance management analytic tools. Health system and hospital leadership teams across the country rely on the company’s software and services to deliver customized insights on clinical and financial performance, strategic planning, market assessment and payment optimization. iVantage’s analytics are the basis of continuing thought leadership and insight in the areas of healthcare policy and research. Plantar fasciitis is one of the most common foot disorders treated by health care providers. Plantar fasciitis is inflammation of the dense, fibrous connective tissue (plantar fascia) that extends along the plantar surface of your foot due to repetitive strain. This condition is best described as pain on the bottom of your heel or mid-portion of the foot. The peak population of people seeking treatment for this diagnosis is between 40 and 60 years old. Here is a quick overview of signs and symptoms, predisposing factors, and helpful tips for managing this condition. • Classic symptom: severe pain on the plantar surface (bottom) of your foot with your first few steps in the morning. • Increased pain in the bottom of your heel with first few steps after a period of inactivity. • Pain may decrease with increasing activity (walking), but worsens at the end of the day. • Tenderness when pushing on the bottom of your heel or mid-foot. • Pain with pulling your big toe up. • Weight bearing activity on hard surfaces. • Muscle and flexibility imbalances. • Ice 2-3 times a day for 15-20 minutes (try rolling a frozen water bottle or frozen golf ball under your foot). • Massage the tender areas. • Wear supportive shoes (Go to a running store and have them fit you with an appropriate shoe for your foot type). If symptoms persist after 4 weeks, contact your physician or physical therapist for consultation. Lincoln, NE – The Health Resources and Services Administration (HRSA) has recognized 10 states for outstanding quality performance of their Critical Access Hospitals (CAHs) in achieving the highest reporting rates and levels of improvement over the past year. The 10 top-performing states – Wisconsin, Maine, Utah, Minnesota, Illinois and Pennsylvania (tied), Michigan, Nebraska, Indiana and Massachusetts – built on their previous successes by investing Federal Office of Rural Health Policy (FORHP) funds into quality improvement projects and developing technical assistance resources that improve high-quality care in their communities. States also work collaboratively with every CAH and their respective partners to share best practices and utilize data to drive quality improvement in their hospitals. In 2011, FORHP, located within HRSA, created a program to promote high quality of care at rural hospitals with 25 beds or fewer. Low-volume hospitals participating in the Medicare Beneficiary Quality Improvement Project (MBQIP) voluntarily report on a set of quality measures relevant to the care they provide, share data, and take on quality improvement initiatives. Currently, 96 percent of the 1,340 CAHs in the United States are reporting rural-relevant quality measures. Nebraska has 64 Critical Access Hospitals which serve the most rural communities in the state. The federal initiative is administered in the state by the Nebraska Office of Rural Health. For more information, contact Flex Program Manager Nancy Jo Hansen at 402-471-4616 or nancyjo.hansen@nebraska.gov. It’s that time of year again when kids and parents are preparing for a new school season. When buying school supplies, parents often overlook the impact an ill-fitting backpack can have on a child’s health. 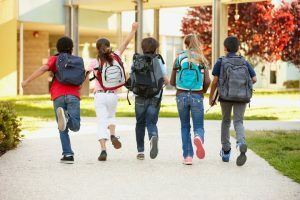 According to a study by Boston University, approximately 85% of students from the university reported pain and discomfort associated with backpack usage. Wearing a pack that is too heavy or one that fits incorrectly can cause low back pain, muscle soreness, shoulder pain, and poor posture. A study in The Journal of Applied Physiology found that the pressure of heavy loads carried on the back have the potential to damage the soft tissues and nerves of the neck and shoulders causing numbness and tingling to arms and hands. Here are some tips to consider to avoid these health issues and prevent injury and discomfort when buying, loading and wearing a backpack. 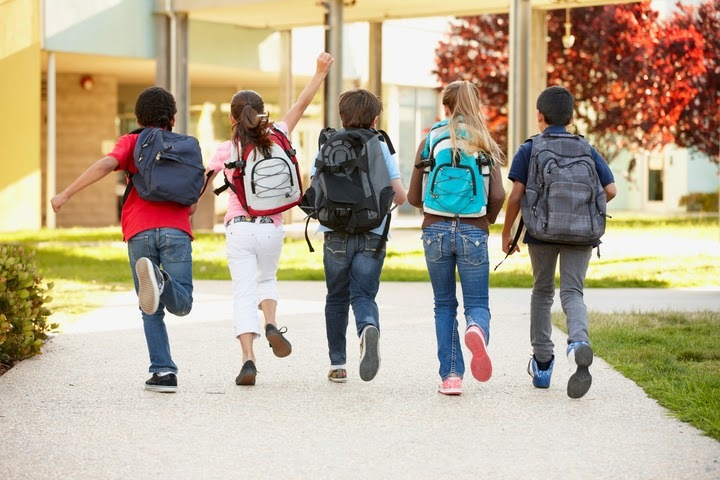 If you would like to consult an occupational therapist about an ergonomic evaluation regarding backpacks, computer use, or other learning-related issues, contact Harlan County Health System’s Rehabilitation Department at (308) 928-3002. These tips provided by Mindy DeJonge OTD, OTR/L (mdejonge@harlancohealth.org). Jennifer Taylor PA-C will re-join the HCHS Medical Staff by the end of September 2017. She will tend to patients in both the Alma and Oxford Clinic and will also assist with Emergency Room call. 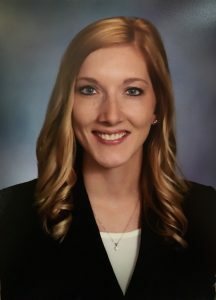 Dr. Michael Finkner, Dr. Cameron Knackstedt, Jessica Stemper, PA-C, Craig Taylor, PA-C and Cameron Ourada, PA-C.
HCHS Administration and staff are excited to welcome Jennifer back to our team. Please help me welcome Jennifer back, and stay tuned for updates as we get closer to September. The HCHS Board of Trustees approved the purchase of a dual head Contrast Injection System. This new system allows for quicker CT exam times and a significant improvement in patient safety. Capital improvements like this help show our commitment to providing the highest quality patient care. Harlan County Health System (HCHS) would like to congratulate Becky Fleischmann as she is retiring after 45 years of employment. She has seen many changes over the years. When Becky started in November of 1971, she had never heard of a hard drive, CD, Dell, etc., as there were no computers. She recalled the first computer being installed in the business office in the late 70’s. To prepare for the computer age, Becky traveled to the Phillipsburg, KS, Great Plains Health Alliance (GPHA) office to input the necessary information. Once the computer was installed and the information entered, accounts receivable charges were processed as batches. Becky became very knowledgeable in her computer skills and processing, that with the passing of LaDonna Robison in 1989, Curtis Erickson, Executive Director from GPHA asked Becky to help with administrative duties on a temporary basis, with his help, until a new administrator was hired. Becky was relieved of those duties when a new administrator was hired in 1992. “During my 45.5 years at HCHS, I’ve had a number of different responsibilities in the business office, of which I have learned a great deal. Even through good and difficult times, I have thoroughly enjoyed my time at HCHS. I have also had the opportunity to meet so many nice people throughout my career,” stated Becky. HCHS wishes Becky a very happy and healthy retirement! You will be missed!